Everyone hates meetings. They're usually just a huge waste of time and could have been handled with an emial. 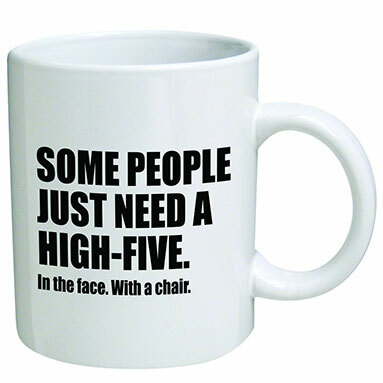 This mug makes a great gift for an office gift exchange. Work can be stressful so it's nice to keep the mood light with a funny mug like this. This coffee mug makes a great gift for a coworker in the office, a white elephant gift exchange, Secret Santa gift exchange, or someone with an office job. The mug reads “I survived another meeting that should have been an email.” The mug is made from a quality ceramic that is dishwasher safe. The mug is made with a commercial grade ceramic that is 100 percent dishwasher safe. Another mug that is funny is the one below. Both of these mugs will be a hit!